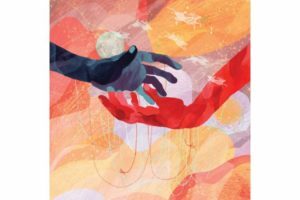 Browse: Home / 2018 / August / 28 / Peace Symposium Honored 2018 PEACEMAKER IN OUR MIDST! The World Affairs Council of Harrisburg honors organizations and individuals that have served as peacemakers in our communities and around the world. The 2018 Peacemaker in Our Midst awards will be presented at the International Peace Symposium from 10 a.m. – 4 p.m. Saturday, Sept. 22 2018, in the Susquehanna Room of Elizabethtown College. 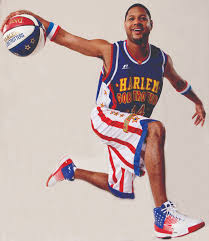 Harlem Globetrotter who is a local philanthropist with a heart for inner-city children. He mentors youth and uses his significant influence as an athlete to encourage young men to pursue their education and avoid violence and conflict. Chris recently spoke at the Inte rnational Young Leaders Conference and frequently speaks to young audiences to encourage good sportsmanship, community service and global peace. 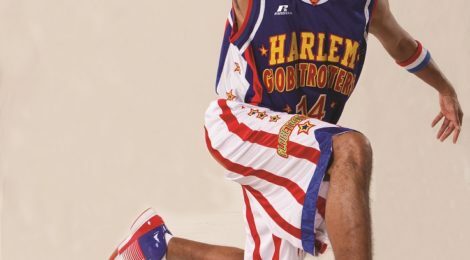 He has traveled the world as a member of the Harlem Globetrotters to promote peaceful relations between countries and diverse peoples. He is known for his work in Harrisburg to provide safe places for young men to play basketball and to resist getting involved in gangs and violence. He helped to renovate two basketball courts in Harrisburg and has committed to renovating other parks and playgrounds for inner city youth. 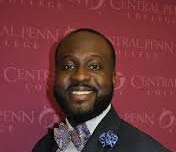 Dr. Homiler Elie Phanor, Chair of Accounting at Central Penn College. Dr. Phanor embodies the specific characteristics of being dedicated to educating the residents of our region on global issues. His leadership of business, leadership, and service in the community has garnered him to be one of Central Penn’s Business Journal’s 40 Under 40 recipients of 2018. Dr. Phano is known as a compassionate counselor and mentor to students at Central Penn and throughout the world. He also frequently travels to Haiti to help with the ongoing devastation in that country. He is an Assistant Chaplain at UPMC Pinnacle, and is highly respected by his colleagues for his calm demeanor and quite gift of mediation. 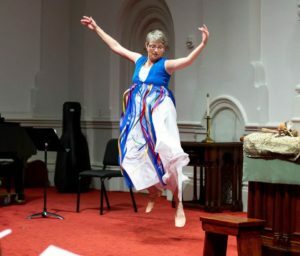 Becky Boone is active in the local peace movement and is known for her interpretive and inspirational dance. She has performed at many local events, including the annual “Candles on the Water” ceremony to remember victims of Hiroshima and Nagasaki. Ms. Boone is also active in community organizations and is a teacher working with students with hearing impairments at the Capital Area Intermediate Unit. 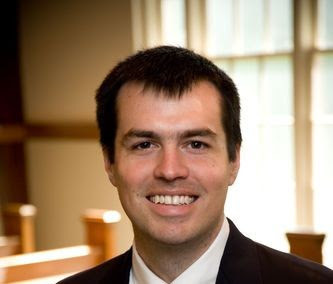 Dr. Kevin Shorner-Johnson is Associate Professor of Music Education at Elizabethtown College. His early research in listening to the voices of Haitian musicians led him to a focus on the work of peacebuilding and justice-seeking action. As a teacher, he has applied his interests in ethics, spirituality, and peacebuilding to approach music coursework in ways that are rooted within an Anabaptist heritage of peacebuilding, intentional community, and ethical discernment. This coming summer, Dr. Shorner-Johnson will launch the first-in-the-nation Master’s in Music Education with an emphasis in Peacebuilding. His scholarship focuses on human orientations toward time, how temporal constructions impact ethical discernment, and how music reorders senses of time. His most recent scholarship will be highlighted in an international book that approaches and critiques the United Nation’s temporal constructions in education policy. His on-the-ground peacebuilding work focuses on building capacity and community within Central Pennsylvania Hispanic/Latinx communities and using the arts to affirm and embrace the fullness of Puerto Rican identity. 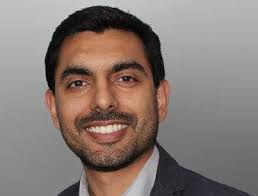 Momin Bhatti is based in Harrisburg, PA and manages WHBG Channel 20 Television Station for the City of Harrisburg. He also serves President of the Harrisburg Chapter of the Ahmadiyya Muslim Youth Association and leads delegations throughout the world to provide training, as well as relief and comfort, to people facing natural disasters, poverty or disease. The Pennsylvania Capitol Police has been called to protect the peace on numerous occasions, but its recent work to prevent violence among Neo-Nazi protestors and counterprotestors proved especially challenging. Lt. Gerald Rhoads of Capitol Police, who is an ordained minister with the Church of the Brethren, spoke recently at the International Young Leaders Conference and provided significant guidance to young people about the potential dangers in attending demonstrations and protests, and about how to engage in such activities safely and without risking arrest. 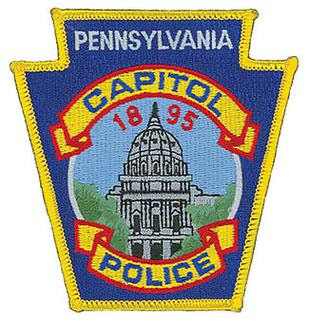 The men and women of the Pennsylvania Capitol Police are routinely called to keep peace at the Capitol while allowing citizens to exercise their right to freedom of speech and assembly. USIP is known throughout the world for its efforts to broker and maintain peace, but it is less known in the United States. Yet USIP provides significant support to high school students and teachers, including through its “Teaching Peace” program, which the World Affairs Council of Harrisburg has used to promote conflict resolution in our region. Using USIP’s modules, the World Affairs Council of Harrisburg has started a Peace Club at the Nativity School in Harrisburg, which it will continue in 2018-19; and its summer interns from high schools and colleges throughout the region participate in the program. Overall, USIP is well deserving of accolades for promoting peace at home and abroad. KEI was founded as the first U.S. “non-profit” institution or “think-tank” in 1982 solely dedicated to promoting dialogue and understanding between the Republic of Korea (ROK) and the United States on economic, political, and security relations. KEI is led by President & CEO Donald Manzullo, J.D., former Chairman of the Subcommittee on Asia and the Pacific of the Foreign Affairs Committee of the U.S. House of Representatives, and Vice President Mark Tokola, LL.M., a 38-year veteran U.S. diplomat and former Deputy Chief of Mission at the U.S. Embassy in Seoul. Both Manzullo and Tokola spoke at the World Affairs Council of Harrisburg “Future of Korea” forum this year, including a student forum at Harrisburg Academy. ← Thanks to All for Successful 2018 International Peace Symposium!